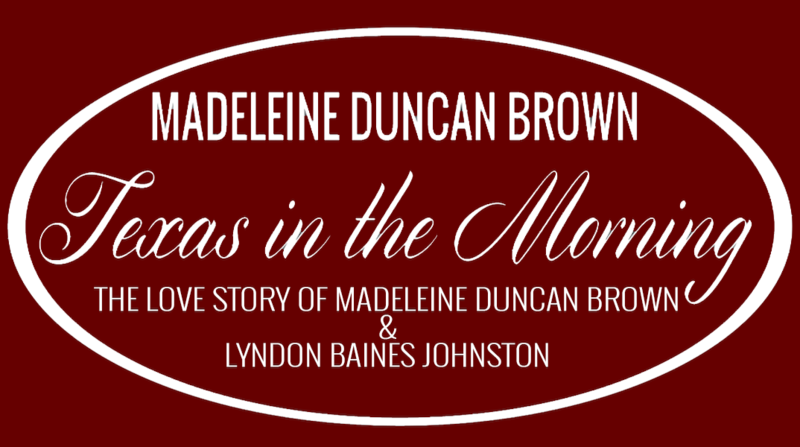 The Love Story of Madeleine Brown & President Lyndon Baines Johnson - Madeleine Duncan Brown's Texas in The Morning is one of the most important personal memoirs in recent history. Brown fills in a huge gap in our understanding of President Lyndon Baines Johnson with whom she had a long-term love affair. Johnson was one of the most complex figures in our history, (along with the enigmatic Richard Nixon and Thomas Jefferson) and the often-severe conflict in his character and actions makes him most difficult to understand. As a writer, I am, therefore, grateful to learn anything at all about his interior or private life. Johnson was brutish but also sensitive, and his accomplishments made him both hated and well thought of.